1. If this is your first time to use P2P, please click the pop-up dialog box to install player plugin. 2. If it doesn´t play automatically, please refresh the web page to try again. 3. Versions of Windows 2000 or above, above Internet Explorer 5.5 are recommended. Media Player 9 or above is also needed. Travelogue´s Ethnic Minority Series DVD is now available on DVD. If you have any questions, comments or suggestions about CCTV or CCTV.com, please feel free to leave us a message or send a letter or email. We will be very pleased to hear from you. Please make sure that you give program-specifc information (e.g. 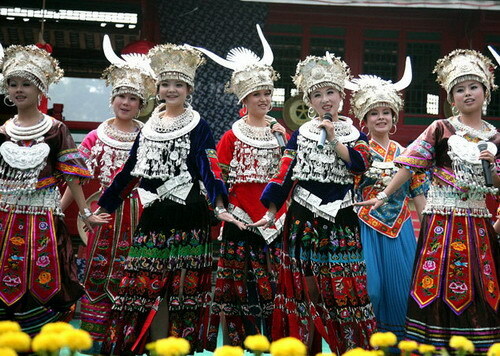 Culture Expess, Biz China) in your message or email.